After a lightning quick check-in at the Osprey Clubhouse, surrounded by walls lined with portraits of past Valspar winners like Jordan Spieth, it was a quick one-minute drive back to the St. Andrews building, where I got an instant jolt upon opening the door to my enormous accommodations by seeing a balcony overlooking the Copperhead Course itself. Soon after settling in and catching up on the day’s NFL action (including the Bucs-Saints game being played right down the road in Tampa) on both of the two high-definition large screen televisions, it was time to explore. 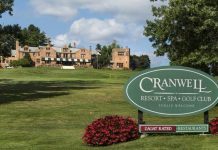 After a peaceful night’s sleep in my suite and awakening to my view overlooking Copperhead, the much-anticipated day of golf had arrived, starting at sunrise with a return drive to Osprey and its Market Salamander Grille for a grab & go breakfast. They also coincidentally paired me with three Pennsylvania natives, like myself, who also like me were staying on the Innisbrook grounds, and we quickly realized we had something else in common – we collectively couldn’t believe we were about to play Copperhead, one of the world’s most iconic courses. The par-4 16th hole measures 475-yards known as “The Moccasin” and the beginning of the “Snake Pit” whiuch delivers the most potent bite of the three finishing holes at Copperhead and should instantly grab your attention. 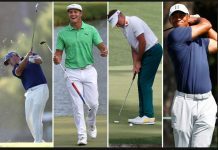 Yet an extreme challenge, nonetheless, which we welcomed since this was after all a tough track the pros play every March in the Valspar as part of the Florida swing, making it one of the Tour’s most popular tournaments during the best month of the year there, even more so with baseball Spring Training sites seemingly surrounding the course just short drives away. 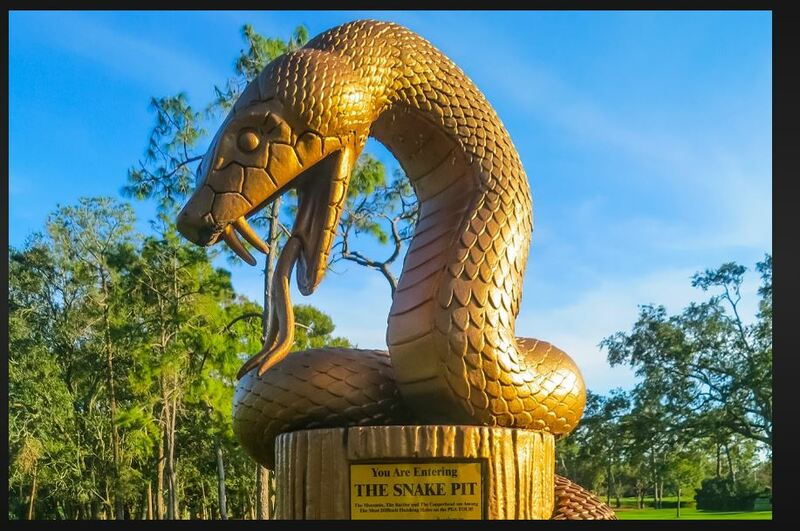 But making our mark would soon become a bigger issue when we came across the imposing Snake Pit sculpture at the 16th tee, serving notice that we were beginning the demanding finishing holes, which as we’ve seen at the Valspar makes even the pros take notice, but for us was cause for a big gulp. Fortunately, we survived that “uh-oh” moment and completed the round without calamity, confident that we had been competitive while also reveling in the challenge and completing what we all agreed was a bucket list round for any golf lover. 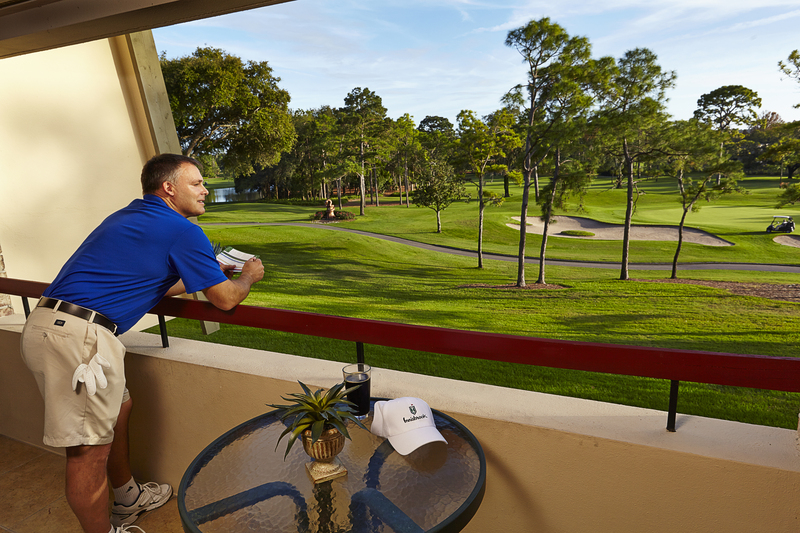 After a long day on the course you’ll get a warm greeting from patrons and guests at the Osprey Clubhouse. 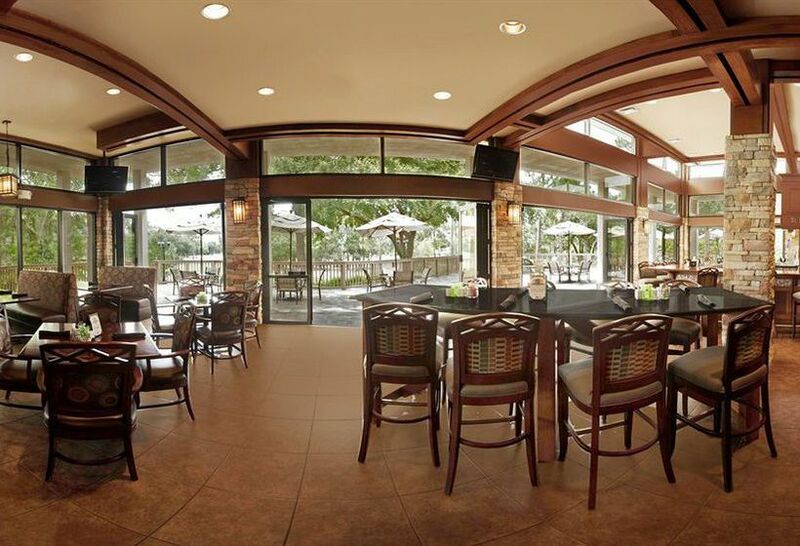 To top off the memorable day, there was lunch in the legendary Packard’s Steakhouse inside the Copperhead Clubhouse, just steps away from our cart drop-off, and truly the only deserving way to cap off a game for the ages. Innisbrook and the iconic Copperhead Golf Course has earned numerous awards including being rated No. 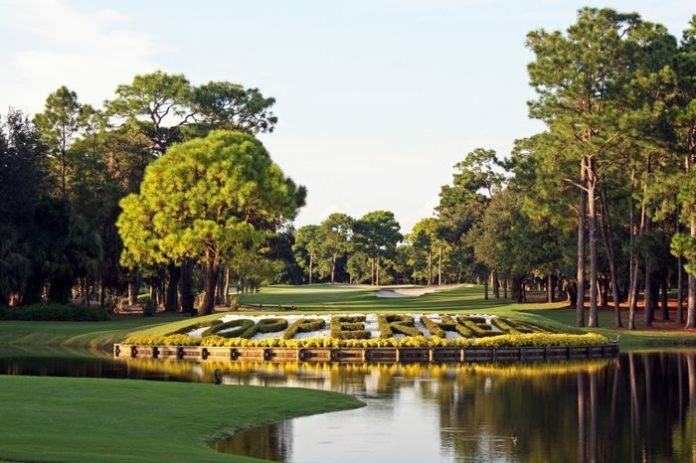 4 on the list of Florida’s Best Courses to Play while the course is lushly landscaped and features a great variety of holes.